Lightstone: Well Chris, you’ve come to the right people to recommend manual wagon options, that’s for sure. Might be one of the few things Mark and I actually agree on – at least when it comes to transmission choice and body style. Richardson: Actually, no. Manuals are fun sometimes, and some cars have very nice manual gearboxes that make them great second vehicles – Jeep Wrangler, Mazda MX-5 – but generally I can’t be bothered. Too much like hard work. And wagons are ugly. Lightstone: I’d like this to be my letter of resignation from this column, as I can no longer converse with this auto-journalist imposter. Richardson: Oh come on, you know I’m not wrong. Manuals are laborious in traffic and station wagons look like sad, droopy hatchbacks. Lightstone: Well, at this point Chris, you can just ignore all of Mark’s suggestions and listen to me on this one. You want something fun to drive, with three pedals and room for doggies and babies. 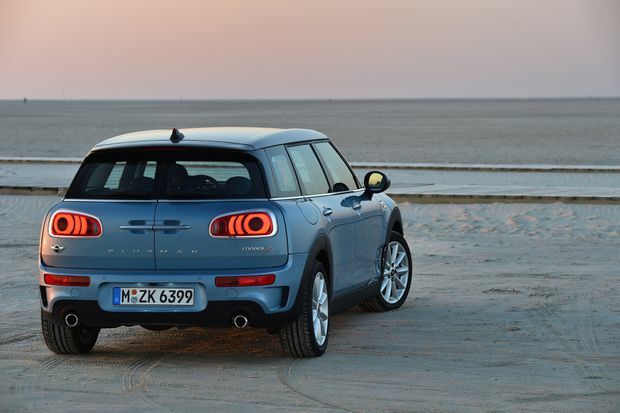 My go-to would be the Mini Cooper Clubman, in base trim with a manual gearbox and a three-cylinder turbocharged engine that’s more than powerful enough. Richardson: If Chris wants a manual, I won’t dissuade him, and the Clubman has a lovely short shift. If he buys the Mini with the heavy chrome shifter knob, though, he’ll also need a pair of leather driving gloves. That metal knob takes forever to warm in your hand in the winter. Lightstone: Must. Behave. Myself. Cold knobs will be quickly forgotten once he’s warmed by the performance of the quirky Clubman. Plus, the trunk holds 360 litres of things, or dogs. Richardson: That’s not much space for two large dogs. The Countryman is bigger, still with the Mini style and still fun to drive, but both pale compared with the Sportwagen’s 860 litres or the Forester’s 974 litres. Lightstone: I’m going to put a full stop on the Countryman. Chris will find it heavy and un-Mini-like. It is the most far removed from the bunch in terms of performance on the road, especially in base trim as the three-cylinder just doesn’t seem to have enough oomph to get the heavier Countryman going, as it does in the Clubman or Cooper hatch. Richardson: Okay, so forget Minis. If Chris is thinking about the Forester, this is the year, right? Lightstone: Yes – the 2019 Forester was just shown at the New York auto show and it won’t have a turbo and – horrors – it won’t have a manual option. No stick shift. Richardson: But the 2018 still does. If Chris really wants a Subaru with Forester size that lets him shift his own gears, this is his last chance. Lightstone: So many manuals are going the way of the dodo bird, it’s up to people like us to keep them alive! 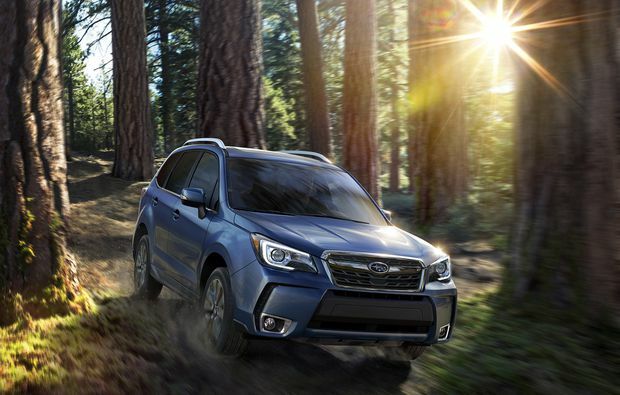 A current-generation Forester will offer exactly the same amenities as the 2019. However, Chris did say he wanted fun-to-drive, and he’s right about the Forester’s sluggish feel, even with a manual transmission. Richardson: People like you, Miranda. I’m not bothered if manuals disappear. The Sportwagen, though − now that’s a fun car. And the Alltrack is even better. Lightstone: I am a dying breed, but this isn’t about me (sadly). The Golf Alltrack is a good car, but it’s a good $10,000 more expensive than the base Sportwagen, and for what? Added ride height? 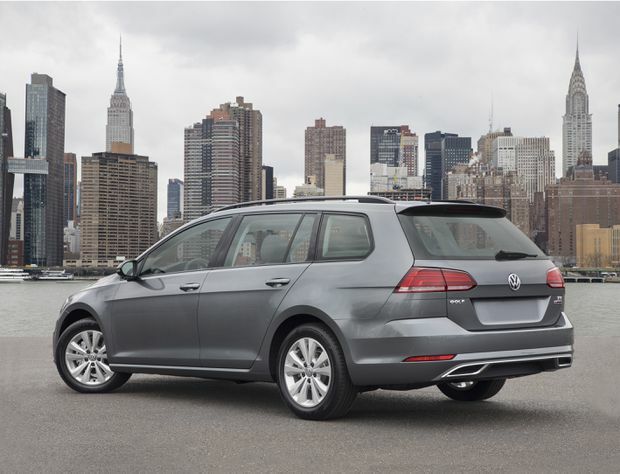 Chris can get a Trendline Sportwagen with a six-speed manual and AWD for $25,695, plus freight and taxes. Richardson: You’re right − the Alltrack is generally better, thanks to its standard AWD − but it’s basically a loaded Sportwagen with a tweaked suspension and selectable Drive modes. If Chris doesn’t want all the bells and whistles, the Sportwagen is a great deal against the $25,995 base Forester. He should give up on the TDI engine, though. After Dieselgate, that’s never going to happen.